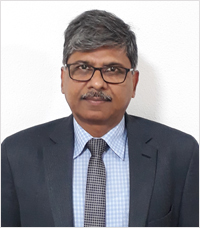 Mr. Pradeep Kumar Gupta joined Ministry of External Affairs in 1983 and is an officer of Indian Foreign Service 2004 batch. He hails from Kanpur, Uttar Pradesh. He has a wide range of diplomatic work experience and since joining service has served in various capacities in the Ministry of External Affairs, New Delhi and several Indian Missions abroad like Dhaka, Riyadh, Moscow, Paris, Jakarta and Accra apart from a stint in the Ministry of Overseas Indian Affairs in New Delhi. Mr. Gupta has a Bachelor of Arts degree from Allahabad University. He is married to Mrs. Priyanka Gupta, and blessed with two daughters.